The Nevada Test Site was the primary testing location of American nuclear devices from 1951 to 1992. During the 1950s, the mushroom clouds from atmospheric tests could be seen for almost 100 miles. The city of Las Vegas experienced noticeable seismic effects, and the distant mushroom clouds, which could be seen from the downtown hotels, became tourist attractions. 928 announced nuclear tests occurred there. Of those, 828 were underground. 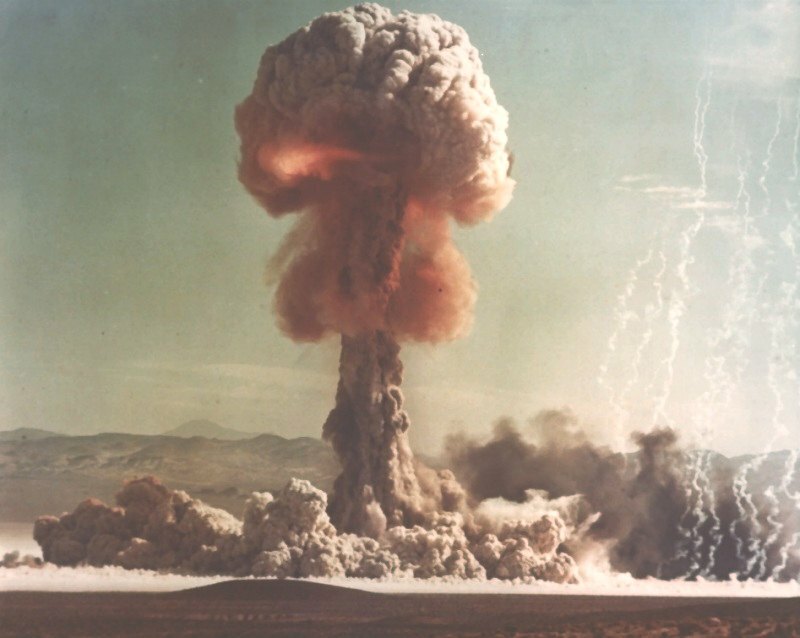 Sixty-two of the underground tests included multiple, simultaneous nuclear detonations, adding 93 detonations and bringing the total number of NTS nuclear detonations to 1,021, of which 921 were underground. A big thanks to everyone who checked in to tonight’s Net and supported us.